"whats happening in the rainy day world"
Last year Jack Rabid picked the carson mcullers album for esme as one of his top 50 of 2010. They've made three full length records in the year since then. As the records are piling up faster than the cash, they've decided to give all four albums away free, as a gift to you loyal rainy dayers out there. So, coming very soon, four free carson mcullers albums. Tell your friends! In the coming weeks The dragonfly hunters are relocating from Charleston S.C. to Atlanta GA., working on a new album, and releasing an album called (perfect imperfection) download it free in the store, also thier latest releases, the (touch my love) single, and (pantyhose, illegal drugs, & cigarettes, a retrospective:) all freeee! 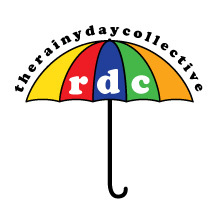 check out always new releases from the rainy day world!